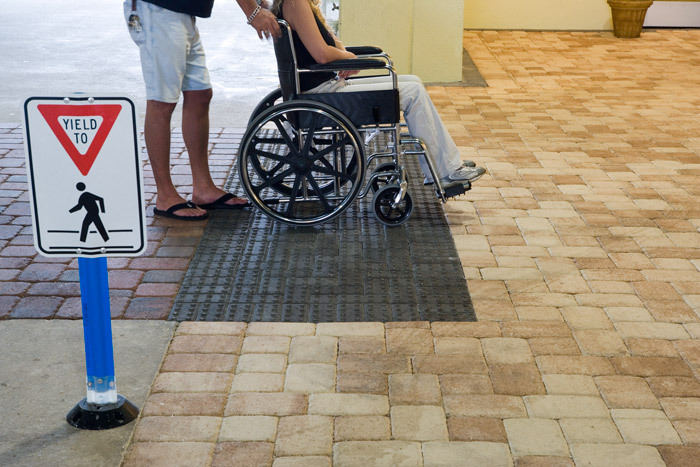 The 2010 ADA Standards for Accessible Design (Department of Justice, 2010) contains scope and technical requirements for accessibility to sites, buildings and elements by individuals with disabilities. The following discusses how our commercial lines of detectable warning pavers and truncated dome brick and concrete pavers comply with the applicable sections. The results, which are summarized adjacent, show that most finishes, with the exception of a ground face sealed product tested wet, met the high traction rating. 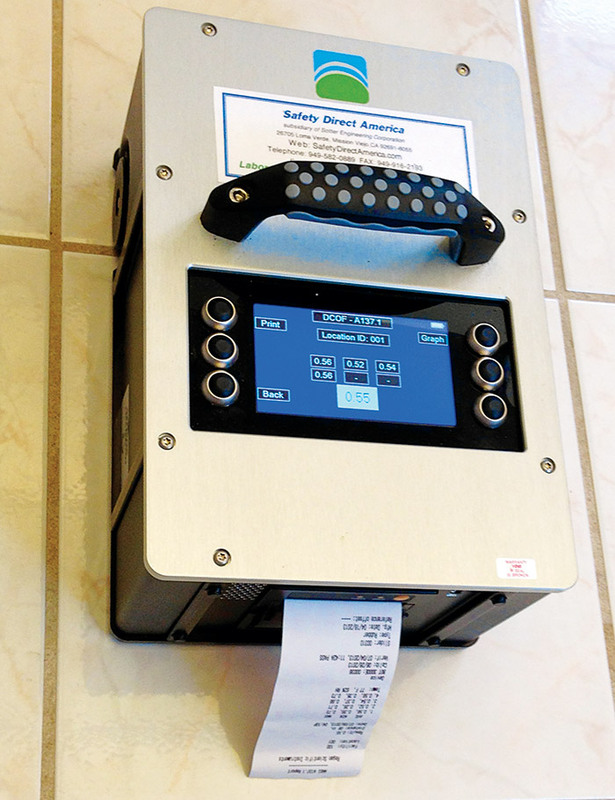 According to the National Floor Safety Institute, this will be viewed positively by the insurance underwriters. To verify the openings in a ground surface are compliant, a simple test is done to see if a ½ inch diameter sphere can pass through the opening. In the case of pavers, this test would be conducted on the joints in a relaxed state without jointing material in place. Pavers, when installed correctly, are placed on a loose layer of bedding aggregate, then compacted down into it to set the pavers into place. 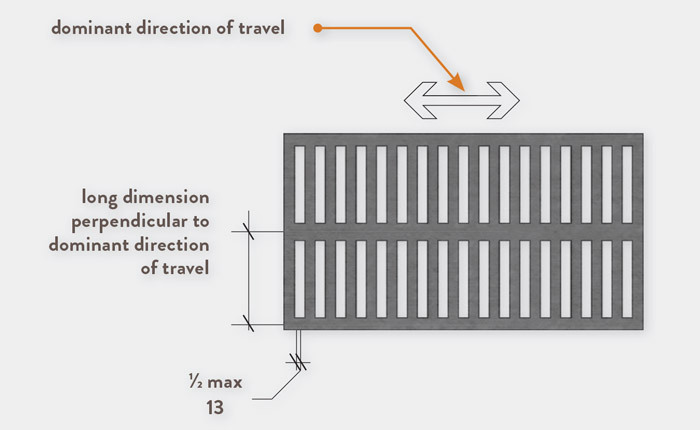 One purpose of the bedding layer is to adjust for possible height variances in the paver thickness so that the final surface does not have any changes in elevation present. The Moduline truncated dome pavers are manufactured in accordance with the new dome size and spacing requirements outlined in Section 705. 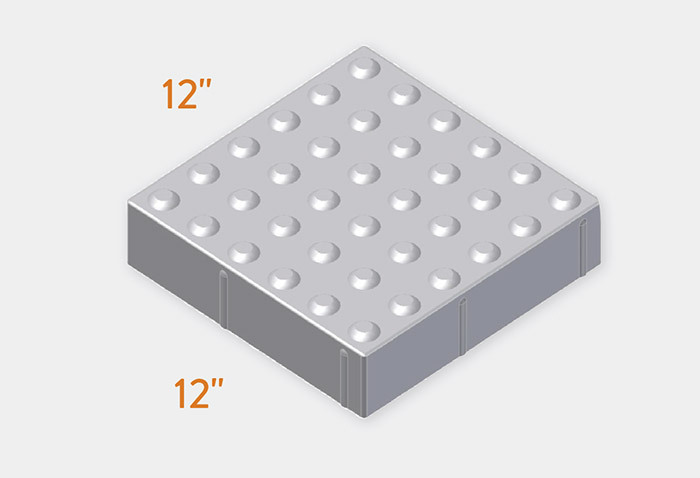 Plus the modular size makes it easy to match the specified marking dimensions for curb ramps in Section 406. 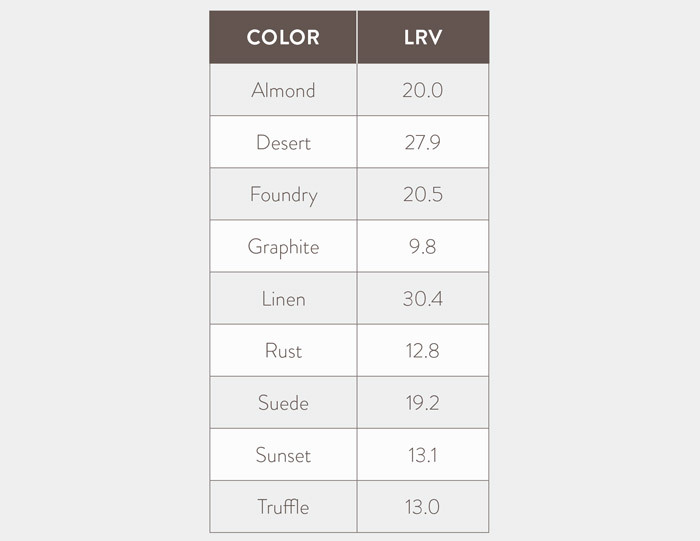 Light Reflectance Value (LRV) testing was done on all of the NATIONAL COLORS to determine which pairings provide the required visual contrast. The test results are summarized in the adjacent table. Studies at the University of Pittsburg 1 showed that for manual and power wheelchairs, use of 2mm chamfers would be acceptable for any route travelled by individuals using wheelchairs. The exposure limit results are actually better than that of a standard poured concrete sidewalk surface. 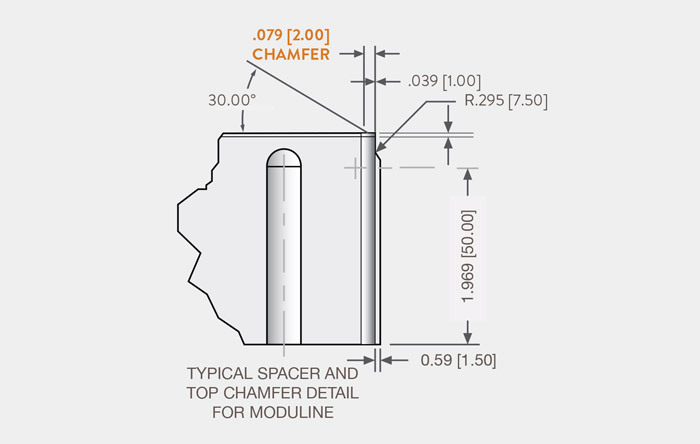 The Moduline series includes a 2mm chamfer for that reason. Reference Vibration Exposure of Individuals Using Wheelchairs over Concrete Paver Surfaces - University of Pittsburg, 2004.